Editor’s note: The following profile was written by 10-year-old Pennfield Middle School sixth grader Zoey Ellison as part of Kellogg Community College’s Journalism and News Writing Camp, running July 23 through 26 on the College’s North Avenue campus in Battle Creek. Ellison also shot the above portrait of her profile subject Gillian Gallup during the camp. 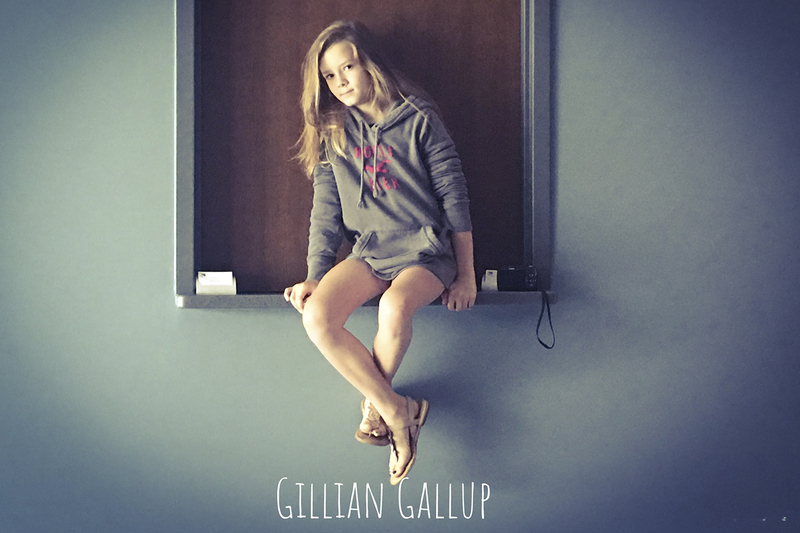 When Gillian Gallup grows up she plans on becoming a forensic scientist. “I plan a getting a master’s degree in forensic science,” Gallup said. The 12-year-old Gallup goes to Union City Middle School and is going into the sixth grade. She has a younger sister, a dog named Maggie and two guinea pigs, Oreo and Cookie. Gallup likes to make slime, play with the slime and sell the slime. She likes the song “Thrift Shop” by Macklemore and Ryan Lewis. Her favorite food is crab, but she doesn’t like fish.